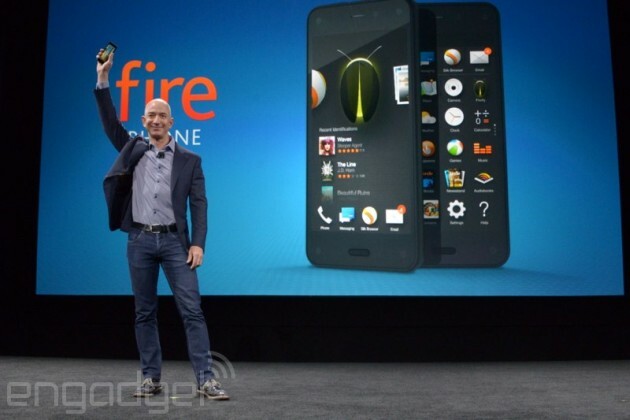 Today, Amazon released their new phone, the Fire Phone. Here’s a quick rundown of exactly what you need to know. Note: If you’re interested in the strategy behind this, read this month’s book club book, “The Everything Store“, and check back next week, for our interview with author, and Amazon expert Brad Stone! The Fire Phone is gorgeous. With circular polarity, and a 590 nit (very bright) 4.7 inch display, the Fire Phone looks beautiful even in the brightest sun. The phone’s body itself is a sleek black metal, reminiscent of an iPhone, or a well-built Nexus 4. As for durability, the Fire Phone should be very strong. It boasts the ridiculously strong Gorilla Glass 3, and edges made of strong rubber. That’s a good idea given that most phones usually land first on their edges, which often causes significant damage. The Fire Phone offers access to Amazon’s decently sized ecosystem of movies, and music, plus a small, curated collection of fire-specific apps. There is also indirect access to Google’s play store, which offers hundreds of thousands of decent apps. And of course, you can read all of your Kindle books here too (though you can do that on any phone). The Fire Phone also offers the so-called “Mayday Button” which offers users instant tech support, with access to a live support agent in just 10 seconds. This is excellent for first-time smartphone users, and anyone that needs a bit of help. Amazon is also giving out some cool tangle-free headphones, though I never recommend using headphones straight from the phone manufacturer. They’re usually mediocre. In terms of sound though, the Fire Phone offers a nice set of dual speakers. Camera-wise, the Fire offers a very respectable 13 megapixel, F/2.0 camera. That should offer very good low-light performance. And for reading, the bright display makes the screen easier to use in bright sunlight (the best of both worlds). As an additional draw, Amazon is also offering users unlimited FREE cloud photo storage. Oh. By the way, it also offers 3D screen features that follow your face. I think it’s gimmicky, but I guess it may have some practical applications, at least from 3rd party developers. The Fire Phone should be reasonably fast, though not much faster than the average top-of-the-line phone today. It boasts a 2.2 Ghz Quad core processor rumored to be the Snapdragon 800, and two gigabytes of RAM, which is the perfect amount for modern mobile games. Unfortunately not. There is no auto-ignition, meaning that if you are stranded on a desert island with only your Fire Phone, you will need to devise some other method to turn it into a roaring signal fire. Is it going to sell well? Is it worth it to buy? What Amazon provided today, was an excellent Android phone, with a subpar app market. I think that it will sell moderately well, but it won’t be a runaway success. It will build a following, slowly, like Amazon’s kindle tablets (not the e-readers – those sold quickly). They’re offering it from AT&T only, which is an interesting move. It’s the same thing that Apple did with the first iPhone, but in the age of the smartphone, I don’t think it’s necessary any longer. As to whether it’s worth buying, that depends on who you are. For older folks, or people who are new to smartphones, the Fire Phone is great. It takes great photos, it’s really easy to read on, and it comes with great built-in support. For current smartphone users, it depends on your needs, and how invested you are in your current app ecosystem.